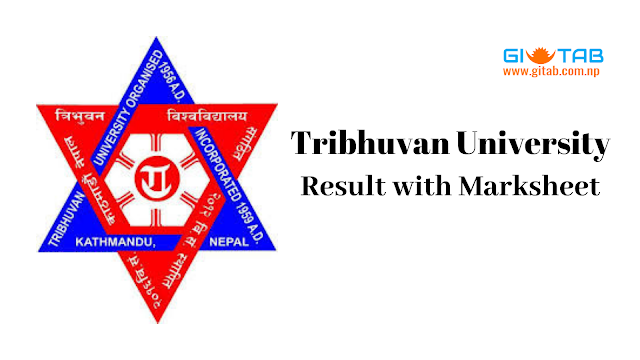 Tribhuvan University (TU) is the oldest university and the first institution of higher education in Nepal. Yet now TU can't publish its result via its own official website tu.edu.np. TU give the authority to Edusanjal.com and Nepal Telecom for the publication of result. Tribhuvan University published the Result of BSc, BBS, BA, Bed, BBA, BSc CSIT, MBS, MA, MSc, Med, MBA, BA LLB, BLLB and more. You can get your result in the following 4 ways. IVR Service: Dial 1602 for IVR service by Nepal telecom after the result published. News Paper: Most of the news and notices are published on Gorkha Patra. So follow the News Paper after the result published. See your TU Result with full marks. Good Luck.